If one looks at organized peasant movements of Pakistan, the names of Haider Bux Jatoi and the Sindh Haari Tehrik immediately come to mind. This is because there have been very few peasant movements in Pakistan which originated in the midst of the peasantry. There are several reasons for this, including the fact that the landless peasantry is bonded to landowners via debts; the tribal relationship of Haaris (landless peasants) with the Zamindaars (landowners) ; the fear of the law and the police inculcated in the minds of the Haaris by the landowners; the lack of security for Haaris; and the tyrannical ability of the Zamindaar to kick Haaris out of their lands whenever they wish. The most recent Haari Tehrik (movement) in Sindh -- one that Haider Bux Jatoi eventually became associated with -- began in the form of the Kissan (peasant) Bureau in the 1920s in order to empower peasants to demand their rights. Several events in the 1920s, including the increasing trend of landlords taking over disputed land illegally, further fanned this nascent movement. These events led to a number of urban intellectuals to eventually form the Sindh Haari Committee. The formation of the Committee was formally announced in 1930 in a programme organized in Tando Jam. Perhaps as a reflection of the times, only one of the founding members of the Committee was the son of a Haari. Two members were connected to agriculture in some form or the other. All the remaining founding members of the committee were either traders or college teachers. The platform brought together a group of varied individuals -- some were anti-imperialists, some were against landlordism, while others believed in human rights and liberty. Even though these seem like three separate ideologies, but put together, they also form the basis of one universal ideology. The Sindh Haari Committee presented a three-point agenda to the public: improve the agricultural sector by empowering peasants; ownership rights for Haaris who have tilled a specific piece of land for a given period of time; the allotment of government land near a barrage to Haaris after 1932. The "Haari Haqdar" movement was then put in motion to push these demands forward. Even though these demands were "soft" -- not revolutionary by any stretch of the imagination -- but the long-term purpose of the movement was to force landowners to give basic rights to the peasants. The movement eventually started to take hold in Hyderabad and the surrounding areas. Small cells were set up in villages, and leaders of the movement began to inculcate revolutionary ideas and ideals in the peasantry in order to release them from the decades-old shackles of mental servitude. Simple conditions were set forth for membership to the Committee: anyone who stood against feudalism and landlordism could become a member of the Sindh Haari Committee by paying a fee of one Aana. Between 1930 and 1935, the activities of the Sindh Haari Committee spread to demonstrations and protests by groups in villages and even in Hyderabad city. Eventually, the rights of inheritance were accorded for disputed land on account of the protests organised by the Committee. The victories in Hyderabad further encouraged the Committee, and its activities spread to Nawabshah (now Benazirabad) , Sanghar, and Larkana. The leaders, workers and members of the Committee dedicated their time, efforts, and resources to the movement, and eventually convinced small groups of Haaris to agree to commit their participation in protests and demonstrations in order to demand their rights. As the movement grew, a need was felt to set up a central office for the Sindh Haari Committee. In 1936, a Muslim officer in Hyderabad donated a portion of his building to the Committee and allowed them to set up an office there. The name of this officer was Haider Bux Jatoi. This unconditional support of his to the Committee proved invaluable. Meanwhile, the Sindh Haari Committee leadership began to feel the need for peasant leaders in the movement in order to take things forward. Thus Abdul Qadir Khan, the son of a peasant, was elected as the president of the Committee. This move infused revolutionary zeal into the movement, and greater numbers of peasants began to obtain memberships in the Committee and become part of the movement. In the meantime, the All-India Kissan Sabha was formed, which approved of the Sindh Haari Committee. Similarly, the All-India Congress Party also supported the Committee as part of its Independence Movement. The alliance with the Congress Party propelled the Committee into mainstream politics, and allowed it to exert greater pressure on the government. The Sindh Haari Committee utilised this opportunity, and organised a massive political gathering in Tando Adam, in collaboration with the Congress. Another event which is important in the history of the Sindh Haari Committee is the organisation of a Kissan Rally in 1943. As many as 3,000 peasants participated in the rally to demand reforms for the rights of Haaris. The rally proved that the Sindh Haari Committee could not only organise Haaris, but could also mobilise them for their rights. This rally put immense pressure on the government at a time when it was already busy dealing with the Independence Movement. More alarming for the rulers was the fact that this pressure came from the generally-silent and most marginalised quarters of society -- the landless peasantry. News of the Committee’s activities reached the Sindh Assembly, and in 1943, for the first time since Sindh came under Colonial rule, the demands and complaints of the Haaris were declared legitimate. 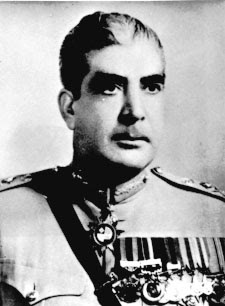 In 1945, Haider Bux Jatoi resigned from his lucrative positions in the Colonial government and was appointed as the secretary of the Sindh Haari Committee. He took the message of the Committee beyond the "Haari Haqdar" slogans. He introduced new and revolutionary slogans into the movement, including "land for the landless," and Sufi Shah Inayat Shaheed’s "the produce belongs to the tiller." Jatoi brought in revolutionary tactics into the Committee. He regularised protests and demonstrations. This helped remove the fear of landlords from the hearts and minds of the Haaris, and infused revolutionary fervour into them. As a result, Committee members began taking away their shares from the harvests they produced, and left behind meagre portions for their landlords. This act was the equivalent of snatching a morsel from a lion’s mouth, and was the most visible practical resistance in the history of the movement. Meanwhile, Jatoi started publishing a weekly newspaper called "Haari Haqdar," which eventually became an important method of communication for other Committee leaders as well. Under Jatoi’s leadership, the call of the Sindh Haari Committee had reached almost every district of Sindh by 1947-48, while its centres of power were Hyderabad, Nawabshah, Sanghar and Larkana. This was a major achievement primarily due to the fact that organising the peasantry is no easy task. Not only are rural populations spread over a large area, with lots of distance between habitations, but the Committee also had to work to break the fear of landlords which had, over centuries, become part of the psyche of the landless peasantry, or the peasant proletariat. The Committee achieved this and more, and by 1947-48, it had more than 160,000 registered members. In order to expand the circumference of the movement, "village committees" were formed under the umbrella of the Sindh Haari Committee, thus ensuring that the latter became an effective peasant movement instead of merely existing as a pressure group. Such was the peasantry’s faith in the Committee, that Haaris would come up on stage during rallies and express specific grievances against their landlords -- a phenomenon which could not even have been imagined a few decades ago. Moreover, the Committee worked to inculcate political know-how into the peasantry, and educated them about larger issues as well, such as legal matters, and even military dictatorships. After the formation of Pakistan on August 14, 1947, the Sindh Haari Committee approached the Sindh Assembly to formulate agricultural laws. The Sindh Tenancy Act was finally approved in 1950, but not without a fight. As many as 15,000 Haaris marched on foot from various areas in rural Sindh, all the way to Karachi, and staged a sit-in in front of the Sindh Assembly building. Large contingents of Army personnel and the police had been called in by the government, ostensibly to prevent any untoward incidents. Throughout the entire march, however, not a single stone was cast by the Haaris -- their march started peacefully, and ended the same way, with the approval of the Tenancy Act. This was a major accomplishment for the Committee and for the peasant movement as a whole as well. 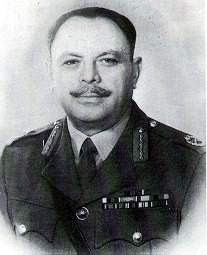 Ayub Khan took over the reins of power in 1958, imposed Martial Law, and banned all political activities, including those of the Sindh Haari Committee. Several leaders of the Committee were jailed during this period, but were released soon after. The activities of the Committee, however, remained suspended. Jatoi was released from jail in 1967, and he called a meeting of the Committee soon after, where a number of resolutions were passed, including one in favour of agricultural reforms, and another against Ayub Khans "One Unit" formula. Jatoi’s imprisonment, however, had been a major setback for the movement, primarily because of a lack of second-tier leadership in the Committee. Jatoi’s leadership skills had led to a speedy rise of the movement, but all decisions revolved around a single person. His imprisonment meant that the movement was left without effective leadership. After the second Martial Law in 1969, the Pakistan People’s Party (PPP) rose as a solid force in West Pakistan. It attracted the poor and downtrodden with seemingly attractive slogans of "Roti, Kapra, Makaan" and Socialism. Like many others, several members and leaders of the Sindh Haari Committee fell under this spell as well, and abandoned the Committee to join the PPP in search of a "shortcut to liberation". This led to a further deterioration of the movement. 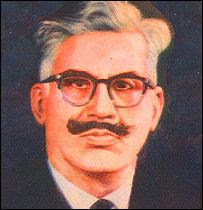 With the demise of Haider Bux Jatoi on May 21, 1970, the future of the Haaris was on the shoulders of an organisation whose structure continued to weaken with time. Thirty-nine years after Jatoi’s death, the landless peasantry faces more oppression than ever before at the hands of landlords and even elements within the government and the State, and awaits not just one Haider Bux Jatoi, but several others like him.